Saddles are a major contact point between bike and rider so finding one that is comfortable for you can really aid the enjoyment of a ride. 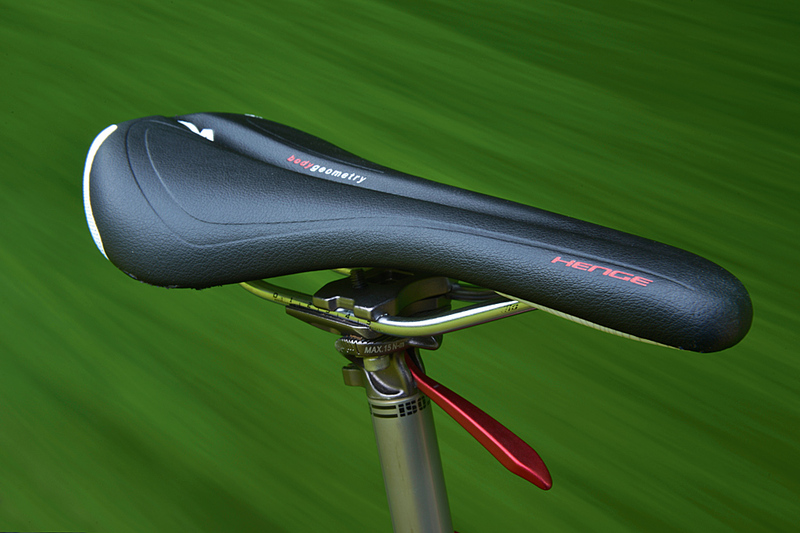 Cutting the corners on this Specialized saddle gives it a slightly different look and cleverly prevents clothing getting snagged without affecting comfort. Ultimately comfort is high on most people’s priority list, and bearing in mind that shape so often trumps padding in saddle design, this is one of the Henge’s strong points. The shape on this 143mm model is excellent; it feels like a firm saddle once seated but after I’d been riding for a few hours and noted there had been no shuffling of position to get comfortable and no soreness I realised that it wasn’t an issue. The Body Geometry department at Specialized really know what they’re doing.